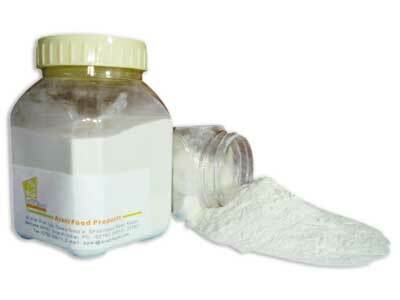 We have enlisted ourselves among the prominent Calcium Caseinate Protein Powder Suppliers in Mehsana, Gujarat. The natural Calcium Caseinate Powder is manufactured by synthesizing the dehydrated skim milk. Total quality control measures are taken in the manufacturing process to ensure flawless quality. The Calcium Caseinate powder that we provide has gained huge popularity in the domestic and international market. It is used for neutralizing capsaicin which is a primary ingredient of Peppers, Habaneros, JalapeÃ±os and Chilli Peppers. The athletes and body builders often take Calcium Caseinate Powder as a food supplement.